eBay: Now 1% less preposterous! I've written about ridiculous paranormal flapdoodle for sale on eBay before. 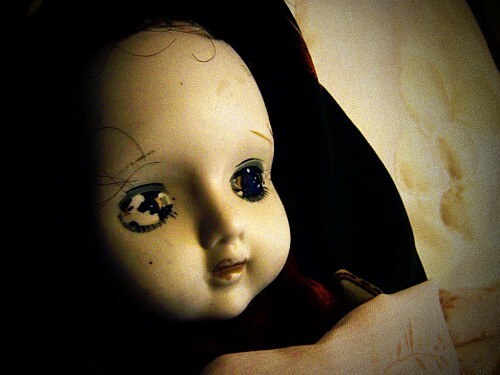 Numerous eBay sellers offer haunted dolls and other allegedly magical objects, including a whole range of magic tuning forks, umpteen radionic orgone tachyon thingies, and the list goes on. In the "Everything Else" category, genealogy books, self-help DVDs, dildos and magic energy crystals rub thankfully-metaphorical shoulders. Basically, if it's too hokey for a sideshow fortune-teller, or even a televangelist, to contemplate selling it, someone on eBay will put it up in Everything Else -> Metaphysical. This has got to be a pretty sweet business to be in. Grab random rocks and sticks and charity-shop dolls, make up some incoherent blather about how the objects in question are imbued with the spirits of Nefertiti and Joan of Arc or the chakra energy of a million sunspots, chuck 'em up on eBay and see who bites. And people do seem to buy these things. I'm doubtful about whether any of the items that cost more than a house ever actually sell to anybody who isn't a shill of the seller seeking to pump up their feedback scores, but as I write this a "Completed listings" search for "haunted" and "doll" turns up plenty of green numbers indicating an apparent sale. Now, though, eBay has banned the sale of "advice, spells, curses, hexing, conjuring, magic, prayers, blessing services, magic potions, [and] healing sessions". I also don't know how much impact this policy change, which happened and was reported on only a few days ago, has yet had. Most of the metaphysical claptrap isn't in the now-banned categories at all, for a start. So there are still a buggerload of magic tuning forks on offer, and the classic haunted dolls aren't banned, either. I think the haunted doll may actually be the gold standard for eBay paranormal crap; quite a lot of other allegedly magical items, like jewellery, now have "haunted" and "doll" in their description, to make sure anybody who's dumb enough to buy a haunted doll also has the opportunity to buy talismans and wands and who knows what else. And spells are now supposed to be banned, but there still seem to be plenty of them on sale. These listings include services to help those who've been victimised by other spells; this seller will call upon the Archangel Michael to un-curse you! And magic potions are supposed to be banned too - potions are the only physical objects on the new-prohibited-items list - but there are still plenty of them on sale, too. Perhaps these spell and potion listings were created before the policy change. I also hope eBay's got humans in the auction-removal loop, to prevent auctions for Magic: The Gathering cards, Lego magic potions and other such non-paranormal items from being cancelled. If a human has to click something to kill each auction then it may take a while for the spell and potion merchants to be shut down. 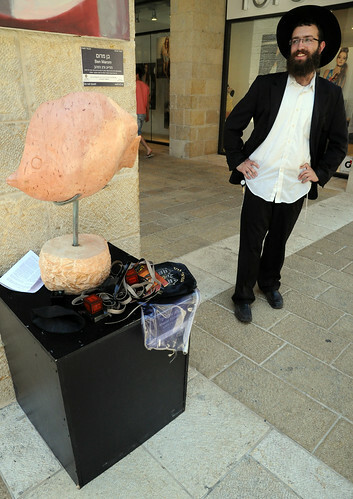 ...tefillin, any crucifix or Star of David necklace or ring or brooch or other knick-knack with colourful description text, and umpteen other religious collectibles. Which includes religious items of legitimate historical value, and religious items that people just buy for fun. 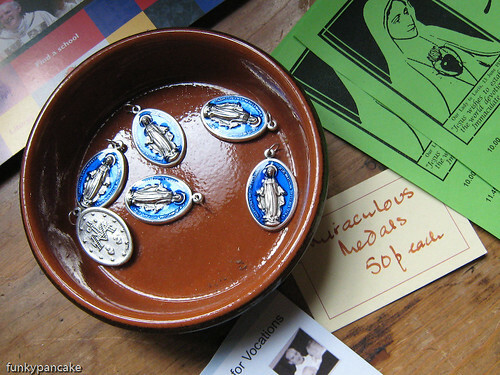 Many people, for instance, enjoy collecting Catholic kitsch, the cornier the better. I also wouldn't want to be the guy who has to draw the line between Harry Potter movie memorabilia and magic wands that are actually meant to work, between collectible knives and magic ones, or between geological specimens and magic crystals. Still, even this small change is an improvement over the previous anything-goes policy. People who want to blow their savings on mystic nonsense should at least get a nice flashy tarot reading or personal magic-trick presentation for their money, rather than just read a wall of poorly-written pink capital letters and then pay fifty dollars for a twenty-cent bottle with some discount-store lavender oil in it. If, of course, you really are in possession of some paranormal object or magic spell, you could make money a lot faster by just demonstrating it to James Randi, and make a million dollars. Since Randi's advancing age means he now looks like a particularly dangerous emeritus member of the faculty of Unseen University and like a little bald wrinkly smiling man, though. the Anti-Randi Marching Band probably find him even more frightening. I've always had a bit of a problem with the Randi challenge. If you actually had functional paranormal abilities, then not only could you make more than a million dollars by using said abilities, you wouldn't have to put up with being vivisected by the curious (for which one million dollars seems a paltry consolation prize). The only thing that the challenge really offers is fame (or infamy), which is the last thing any sensible person would want. The world teems with psychics, dowsers, fortune tellers, astrologers, theatrical evangelists, homeopaths, spirit mediums and other persons who rely upon alleged paranormal abilities to make a living. Most of them do not make a very good living. Many, if not all, of those people most certainly would desire not just the substantial lump sum they'd get from doing what they claim they do every day and thus winning Randi's Challenge prize, but also the fame and attendant massively increased business they would thus achieve. As I said in that old post, it's probable that most of these people don't apply for the Randi Challenge not because they don't want the money or the attention from skeptics, but because they know that supernatural stuff happens every day, and yet nobody's ever passed even the preliminary test for the Randi Challenge, and thus the Challenge must be rigged and unwinnable, like Jock Doubleday's vaccine challenge. eBay has also stopped people from selling their souls (except for metaphorically) for over a decade now, with amusingly solid reasoning.